Letters From A Tapehead: ISIS: "Simply put, ISIS has done everything we wanted to do..."
ISIS: "Simply put, ISIS has done everything we wanted to do..."
"ISIS has reached an end. It's hard to try to say it in any delicate way, and it is a truth that is best spoken plainly. This end isn't something that occurred over night and it hasn't been brought about by a single cataclysmic fracture in the band. Simply put, ISIS has done everything we wanted to do, said everything we wanted to say. In the interest of preserving the love we have of this band, for each other, for the music made and for all the people who have continually supported us, it is time to bring it to a close. We've seen too many bands push past the point of a dignified death and we all promised one another early on in the life of the band that we would do our best to ensure ISIS would never fall victim to that syndrome. We've had a much longer run than we ever expected we would and accomplished a great deal more than we ever imagined possible. We never set any specific goals when the band was founded other than to make the music we wanted to hear and to play (and to stay true to that ideal), so everything else that has come along the long and winding path has been an absolute gift. As with any momentous life-changing decision (which this certainly is for the 5 of us), we feel a very dynamic range of emotions about this and cannot express all of it within the space of a few sentences, and perhaps it's best to do what we've always done and let our music speak for us. It is and has been the truest expression of who we are as a collective and in some ways who we are as individuals for the 13 years in which we've been together. The last and perhaps most important thing we might say in relation to all this is how grateful we are for the people that have supported us over the years. It is a lengthy list that would include those who put out our records, those that played on them and put them to tape, the many bands with whom we shared the stage, all of our family, friends and companions who supported us in our individual lives and thus made it possible for us to continue on in the band, and most importantly those who truly listened to our music whether in recorded form or by coming to out to our shows (or both). It is quite true that we would never have done what we have without those people, that is many of you who are reading this. Our words can never fully express what we feel, but we hope that our music and the efforts made to bring it into being can serve as a more proper expression of gratitude for this life and for everyone in it. Thank you. "It has been a complete honor to be a part of the ISIS team. ISIS is a major part of our label's foundation. Those 5 talented guys are our friends and we look forward to see and hear what they each do in the future." A review of last year's Wavering Radiant can be found at No Ripcord. 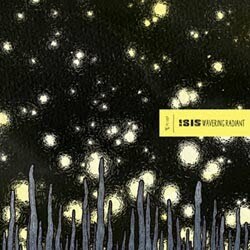 Love isis, it took me awhile to get into them, but they really caught my attention while opening for TOOL, great live show and i have been becoming more and more attracted to the earlier stuff...It really is odd to see a band "go out on top" its so rare, while the money is coming in, they usually milk it dry...even though i sense that there are bigger reasons at work here, good for them...Im super interested in the lives they will be able to lead after this, i wonder what they will do>??? ISIS evidently had their reasons and I don't necessarily think it's such a bad thing that they went out on top. If they think they took it as far as they could go, trust me, whatever subsequent albums/songs they'd come up with would probably ruin their name. I think it's a bold, but understandable, move.